We are constantly reminded that academia and government sectors have not yet reached the level of security you’d see in private companies. This is quite alarming since these systems protect not only private but also classified information. There’s a lot an attacker wants with the .edu and .gov domain space, here we explore endpoints we can leverage for a multi stage attack. Oh, and just for hugs and giggles, sorry McDonalds. Nobody is safe. 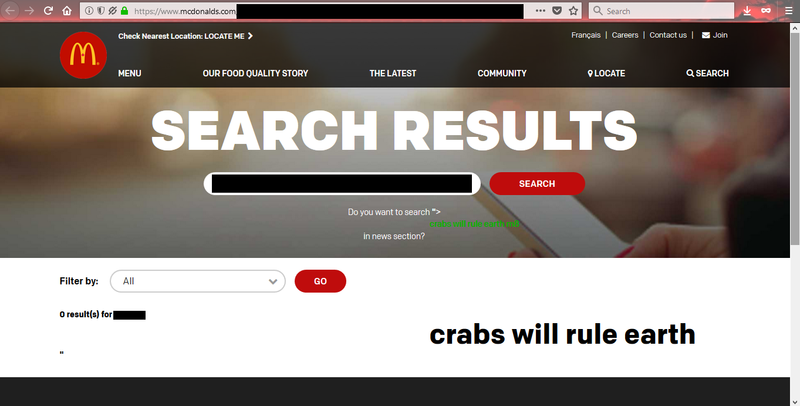 Crabs will rule earth.